Sorry I haven’t posted in a while. If you’ve been following my blog you know I’ve had a very hard time lately. I still haven’t had my meds adjusted but I am seeing a psychiatrist this week . I’m hoping it will help. A few days ago we baby-sat for my sister in law. She has three kids, I think they are 5, 3, and 2 months old. We watched them for about four hours . We totally enjoyed them and had such a good time. They were so good for us, they listened and everything! Jim is so good with them, and they adore him too. 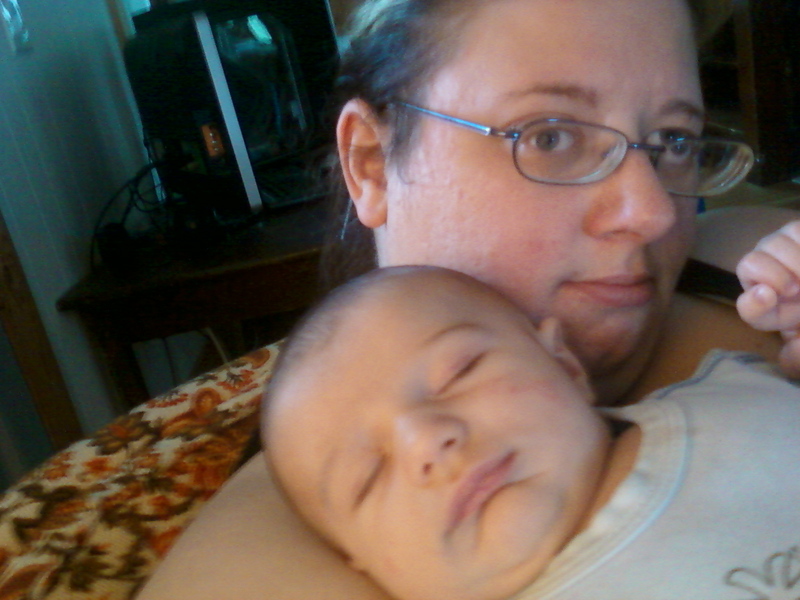 Obviously the best part for me was taking care of the baby; the only time I put him down is when he fell asleep. I have never seen a baby that young smile and laugh so much! Jim said he felt many emotions seeing me with a baby in my arms, ranging from happy to incredibly sad. It was bittersweet, yet totally worth it. We both noticed that Daniel (the baby) was constantly focusing on something off to the side. We just could not figure out what was holding his attention for so long. We think maybe it was Grace. Is it possible she was there with us? Yesterday was Father’s Day and I doted on Jim all day. I cooked for him and made banana bread for dessert. I made sure he had a great day, just like he did for me on Mother’s Day. He is such a wonderful man. I am so lucky to be with him and I try very hard to let him know how special he is. As I have said before, I could not survive this without him. He is truly my best friend, my everything. It goes both ways too. He always lets me know how much he loves me ; he tells me everyday. Things have been so dark lately. But maybe there is light at the end of the tunnel.